SAP provides software systems to automate and integrate business operations across a wide range of activities from the front office to the back office, the field, and the factory floor. 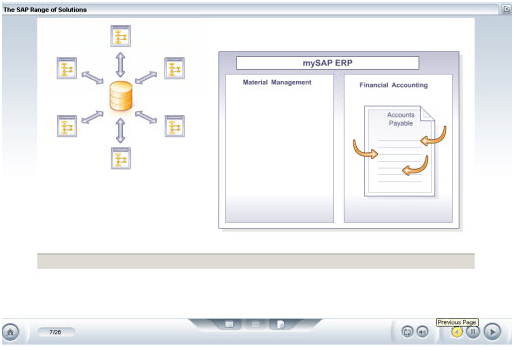 Large, integrated systems like this are commonly known as ERP (Enterprise Resource Planning) solutions. SAP has a range of ERP solutions which will help to integrate your business processes according to your specific business needs. Our Overview of SAP for Project Teams training bundle consists of over 15 hours of training and focuses on the use of version R/3, and offers additional information about the upgrades and enhancements available in module ERP 6.0.